Practice the art of refined relaxation while discovering an esteemed piece of Newport history at The Chanler at Cliff Walk, housed in a 19th century mansion originally built by New York Congressman, John Winthrop Chanler. 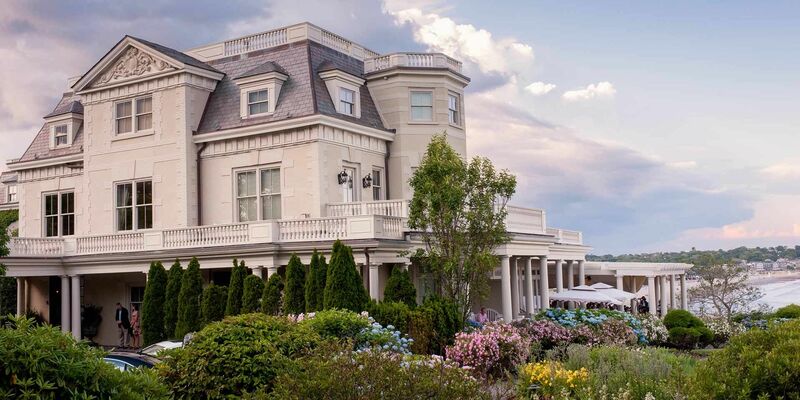 As one of Rhode Island's historic homes, The Chanler is a beloved emblem of old world elegance. The Chanler is the only hotel located on Newport's famed Cliff Walk, and one of the most historic hotels in New England, surrounded by acres of manicured gardens and overlooks the sparkling waters of the Atlantic and pristine sands of Easton's Beach. Located within walking distance of Newport's famed mansions, yet offering the seclusion of a private estate, The Chanler at Cliff Walk is the ideal choice for a retreat that is quintessentially Newport. Twenty elegantly furnished rooms comprise The Chanler's unique accommodations, each designed around a particular historical period or decorative theme. Modern services and amenities such as complimentary Wi-Fi and our convenient house car transportation service ensure a stay that promises to be just as convenient as it is relaxing. Indulge in extraordinary meals at one of our celebrated restaurants as you relish ocean views and relax in an atmosphere of tranquil elegance. Preserving the refinement and beauty of The Gilded Age for today's discerning traveler, The Chanler promises an unforgettable retreat into a world of timeless elegance. We invite you to book your stay today.